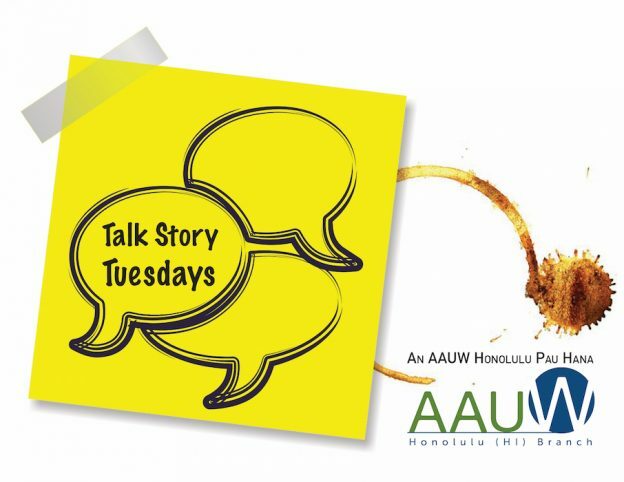 Held every second Tuesday of the month, Talk Story Tuesday is an informal pau hana meetup where AAUW Honolulu members and members of the community can meet up and discuss issues of gender parity and equal opportunity with partner organizations. Past Talk Story Tuesdays have discussed issues such as becoming an effective advocate, women and girls in STEM and LGBT+ issues. Talk Story Tuesday dates for 2019 below; if a date is linked, please feel free to RSVP.